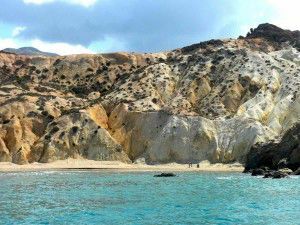 The central west Cyclades cruise is spectacular because it is a separate world of colors, quarries, caves, white rocks and water of incredible colors. The islands are refined and stylish and have breathtaking landscapes, mountains, villages, beaches where it is a pleasure to get lost. The passages between the larger islands are ideal for fishing. The cruise can be weekly or 10-11 days to allow to visit a wider sailing area and to dedicate more time to the beauty of each place. 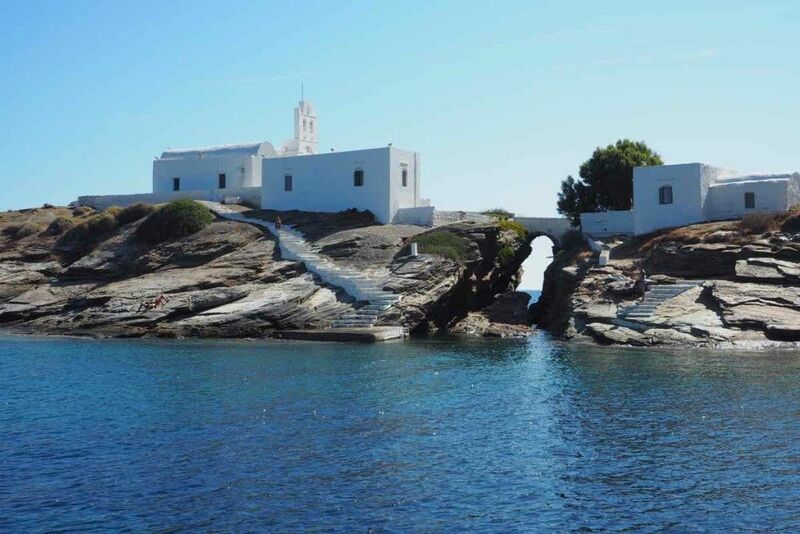 Boarding and landing are in Paros or Milos. Welcome on board Penne Bianche! Boarding will be at Paroikià bay in Paros where your amazing sailing holiday starts. You can rent the boat for exclusive use if you like more privacy and itinerary freedom or per cabin and share the sailing holiday with other participants. A welcome cocktail will be offered and you will get to know your crew that will show you the boat. Provisions will be already stored on board so you will be able to enjoy total relax. The luggage will be placed in the cabins before sailing. 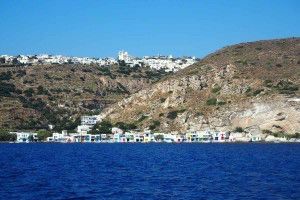 After a rich breakfast, once boarded the last minute provisions, the cruise starts toward Sifnos (20 miles), where we’ll arrive in the afternoon, mooring in the round bay of Vathy. 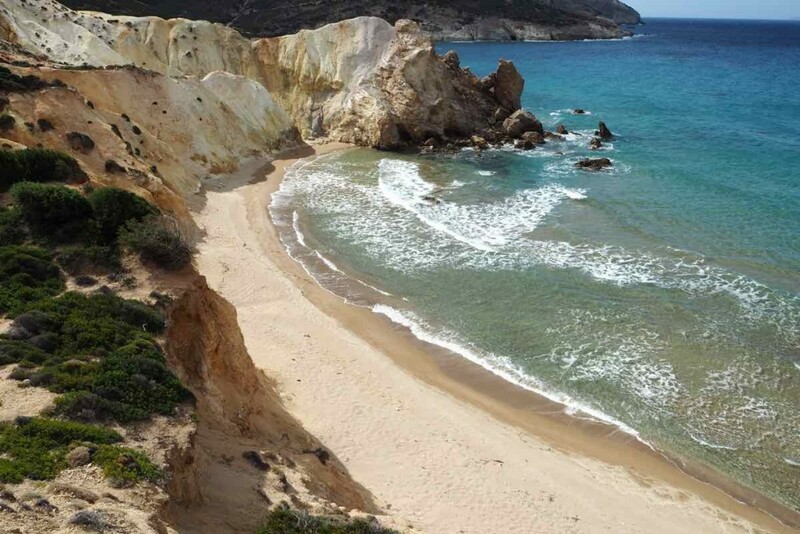 There, we can swim and go for a tour to the Chora Apollonia, which can be reached by bus. It’s built on three hills and therefore really facinating. 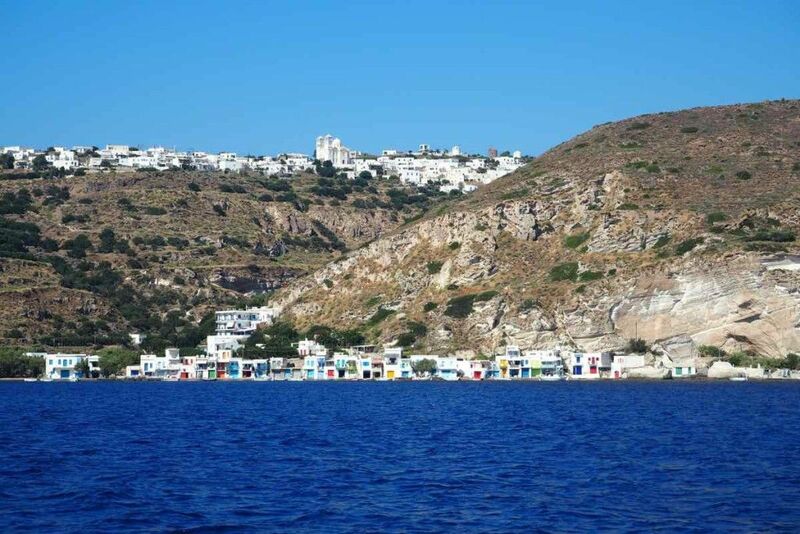 It’s a typical Cycladic kind of architecture with white painted houses and narrow lanes. Kastro, the old main town, still based on a medieval plan, is not far away. A nice aperif can’t be missing on board Penne Bianche where the cuisine is one of the most intriguing aspects of this dream cruise. As soon as we wake up a swim is always suggested before a rich breakfast prepared by the crew and served in the cookpit. 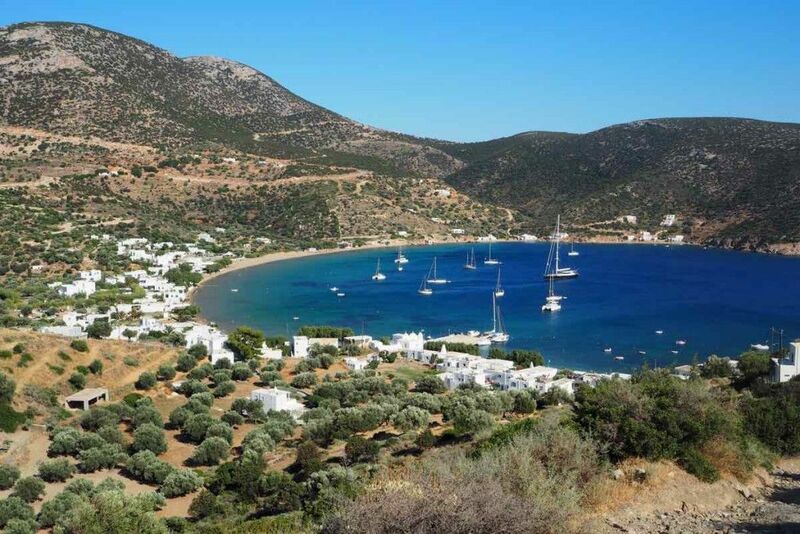 We sail toward Kimolos (10 miles) for a swim and lunch in a nice cove. 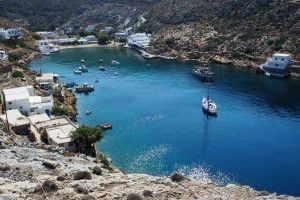 Then we’ll sail and anchor in Milos in the big bay of Adamas, its port is considered the most safe one among the Greek Islands of the Aegean Sea, obligatory stop during the 2016 sailing boat holiday. 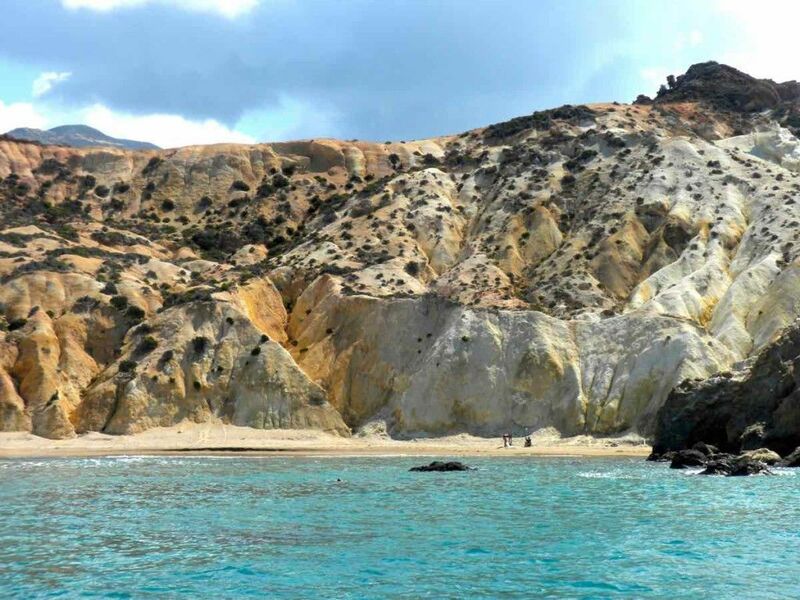 Milos is wonderful!! We can spend the day visiting the many attractions of the island with a scooter, the Plaka or Chora built on top of a hill with characteristic architecture, museums, the famous catacombs, incredible beaches and coves in the white rock. The group of islands of Milos, Kimolos and Poliagos are ideal for charter sailing cruise. 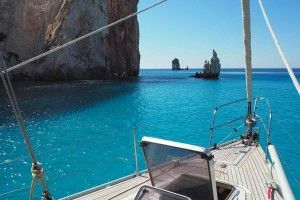 Sail at dawn to reach the extraordinary stacks of Kleftiko (12 miles), stopping for a swim and to take photos. 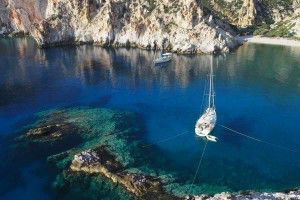 Penne Bianche is an elegant, fast but very stable boat and she can offer the maximum comfort to the sailing boat holiday lovers. 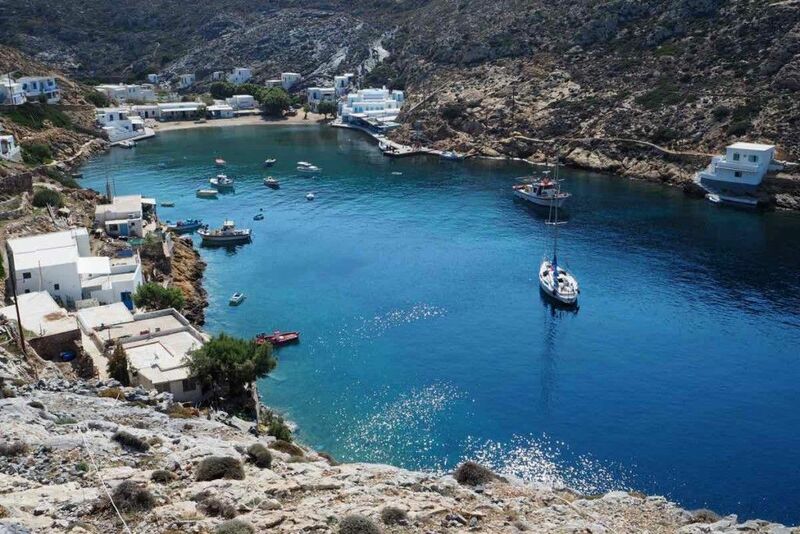 Today she takes you to the striking Folegandros (25 miles). Here we can visit the picturesque and romantic Chora, built on a sheer cliff, with paths, little walls, gardens, wooden balconies and typical churches. The middle west Cyclades cruise continues toward Ios with a nice wind abeam, really funny for the sailing enthusiastic. We anchor in the bay or moor at the small port. You’ll spend the day visiting the typical Chora, with its white painted houses, lanes, churches and its well known sandy beaches and for the night owls… a very exciting nightlife. Dinner in the cockpit prepared by your skipper with fish specialities. 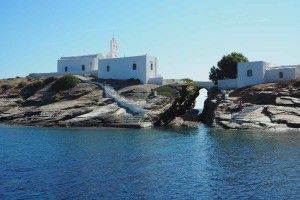 Sail back toward the island of Paros. 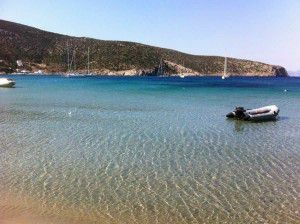 Stop for a break at the three little islands of Pantieronis between Paros and Antiparos with crystal clear waters and white sandy beaches. For lunch you will be able to taste Brunella’s “pasta alla carbonara”!! In the afternoon sail back to Paroikia.